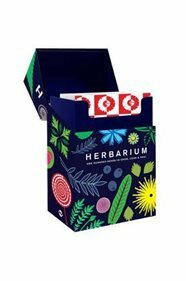 "The illustrations on these chic cards are all taken from award-winning designer Caz Hildebrand's Herbarium, a 21st-century reboot of the traditional herbal compendium. The visual genius behind the international bestseller The Geometry of Pasta, she has created abstract forms and vibrant colours to illustrate 100 essential herbs and to reveal their hidden properties. This stylish set of cards features herb facts, practical tips and stylish illustrations from the book."